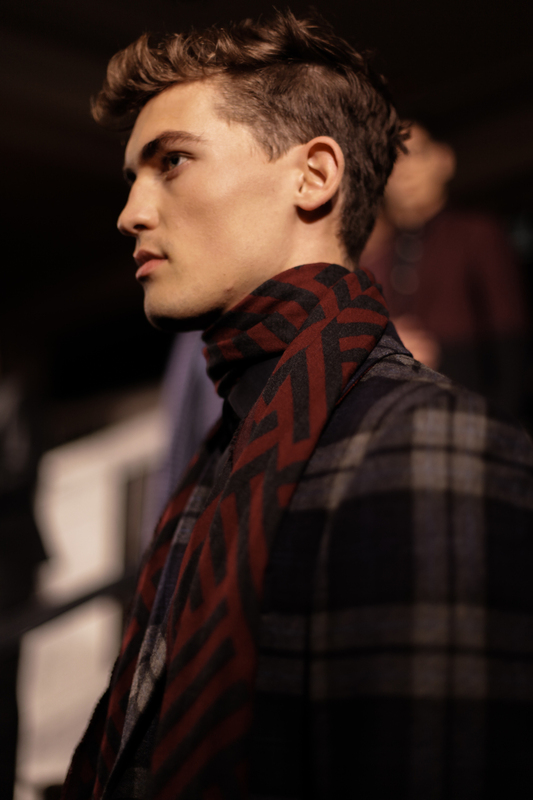 Duchamp’s Autumn Winter 2016 collection fused urbanity with Saville Row tailoring; combining contemporary prints and geometric weaves with traditional sharp cuts in order to achieve a look that is just as boardroom appropriate as it is streetwise. By exploring tonality and texture, Duchamp added dimension to their menswear. Shades of blue were layered and paired with subtle patterns and gentlemanly details, creating looks that were visually engaging without being garish. In some cases, ties were retired in favour of silken scarves, a tribute to the 21st century professional who respects modernity, creativity and tradition in equal measures. The collection highlighted the sophisticated nature of Duchamp and the brand’s ability to simultaneously represent both the culturally rich and the forward thinking sides one of their key sources of inspiration – the city of London. Reference to heritage came in the form of artistic, painterly details: suits were adorned with watercolour florals and scarves hemmed with thick brushstrokes – an ode to Marcel Duchamp himself. Innovation was ushered in in the form of intelligently designed jacquards; delicate fabrics were made to appear weighty with the use of textured patterns, exuding a sense of luxury and elegance whilst avoiding bulkiness. Duchamp has curated a range that epitomizes Britishness. Whilst it pays attention to traditional tailoring, it is also subtly subversive: an electric blue pinstripe hidden in an otherwise demure plaid, fine red stitching bordering a classical collar, a burgundy botanic print underneath a grey suit; all of these details elevate the collection from ordinary to extraordinary. 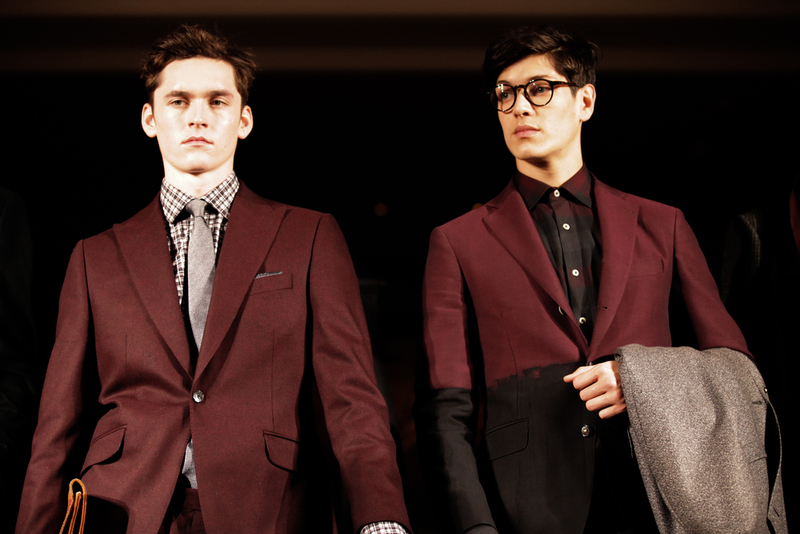 Autumn Winter 2016 provides the London gentleman with a suit with personality, attire that adds a streak of uniqueness to the boardroom and has the prowess to outshine any plain white shirt.